The levels of carbon dioxide in the atmosphere see a drastic drop in the Northern Hemisphere each year. It’s a widely known fact that plants inhale carbon dioxide in summers, and they exhale it in the season when they grow. In the last 50 years, this phenomena of such seasonal swings in the levels of carbon dioxide has increased around half. A team of researchers have stated that the agricultural produce generates as much as a quarter of this increase in the seasonal cycle. There are four crops, which cause this, however the corn crop has a major role to play in the process of disturbing global temperatures. The research was funded by the National Science Foundation. “This study shows the power of modeling and data mining in addressing potential sources contributing to seasonal changes in carbon dioxide. It points to the role of basic research in finding answers to complex problems,” says Liz Blood, the program director of the National Science Foundation’s Macro Systems Biology Program. A senior paper author, scientist Mark Freidl of Boston University says, “In the Northern Hemisphere, there’s a strong seasonal cycle of vegetation, Something is changing about this cycle. Ecosystems are becoming more productive, pulling in more atmospheric carbon during the summer and releasing more during the dormant period.” The study was published in the journal Nature. This annual change is attributed to the effects of rising temperatures. The scientists have gathered the statistics of global production and cultivation figures. Four leading crops are corn, wheat, rice and soybeans; these crops together represent about 64 percent of all calories consumed worldwide. The scientists have also discovered that the production of these crops in the Northern Hemisphere has more than doubled since, as a result of which a billion metric tons of carbon dioxide is captured and released annually. I concur with the others (Fisher, Smith, Tom_) this information is wrong. But there is something else that I find disturbing that I see all around me in terms of disinformation on global warming. Living plants never increase equilibrium concentrations of CO2 even when they are burned in the atmosphere. The CO2 goes through the carbon cycle, and the equilibrium concentration of CO2 remains constant (conservation of mass). It is the burning of nonliving plant material that has been out of the carbon cycle for millions of years (fossil fuels) that raises the level of CO2 concentration (increases the level of greenhouse gases). The scientists in this NSF study should have realized that. The case of exhaling CO2 is seen in farm crops. The fact has been researched upon before being stated in the story. Why am I seeing variations of this same idiotic article making this same bogus claim? Plants grow in summer you morons. They’re inhaling it and exhaling it at the same time? Make up your minds. Here’s how it works: Plants use sunlight to split CO2 into carbon and oxygen. They use the carbon to make the wood, sticks, leaves, roots, and flowers. They give off the oxygen, and that’s what we breathe. This well understood process is called photosynthesis. Every single organism on Earth that uses chlorophyll is made almost entirely from CO2. So look around you: every tree, bush, flower, vegetable, fruit, blade of grass, and kernel of grain, every form of algae, every type of coral, and nearly all of the plankton in the oceans are ALL made almost entirely from CO2. Get the picture? In order to grow, every organism that utilizes photosynthesis has to take in much, much, much, MUCH CO2 than it gives off. This article is totally incorrect and intentionally misleading. It’s November 22, 2014. How is that global warming due to CO2 working for you today? So overall this process is carbon neutral? Isn’t that what the warming nuts want? Maybe we can stop growing food and let people just starve. Could that be what they want? The appearance of the word “drastic” in the opening sentence gives away this article’s non-scholarly approach. It could be that the writer took too seriously some lesson from journalism class. “You gotta grab readers RIGHT AWAY! Make the story sound dramatic, unprecedented, end-of-the-worldish — especially anything pertaining to the environment. 97% of all readers couldn’t care less about science. They want melodrama! Blood, guts, doomsday scenarios, the cheesy antics of second-rate actresses. The tiny handful who actually understand science are never going to pick up this rag anyway. They can’t do it on real facts. NASA released their model and it clearly showed the CO2 get sucked up. they have to start making Crap fit their agenda of how CO2 is the root of everything wrong for tax revenue. When plants die the decay process releases CO2. when we go into fall the leaves do the same thing. The fact is it’s all being used to grow plant life especially food. So we get back to the root of what they really want and that is population culling. Tax the people out of what they need to survive get more revenue in your pockets as ones that can’t keep paying die. I would also like to learn how plants exhale CO2, particularly after they have been harvested. Plants are not humans, you know? I think I read somewhere that when the plants are harvested they emit co2. 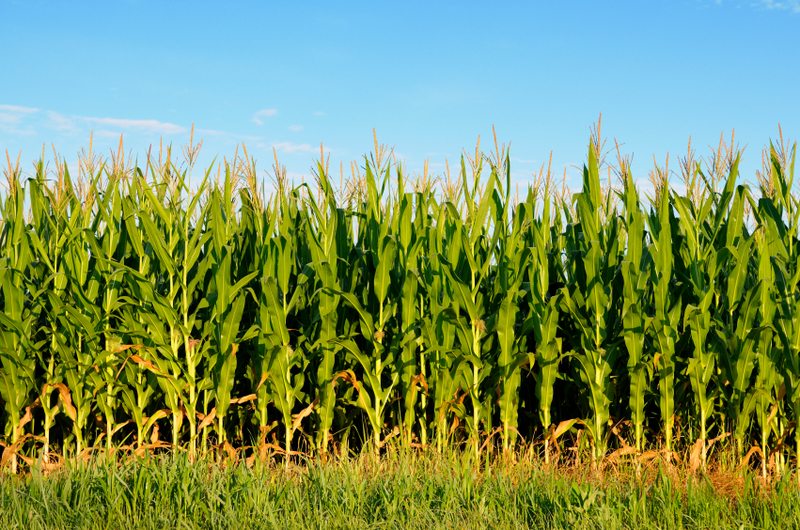 Because it’s a larger plant, it kind of make sense that corn would capture more CO2 than an uncultivated field. That is what the you’re saying right? The wording of the article makes it difficult to understand. There is no way to test whether atmospheric carbon dioxide changes the weather. That relegates man made climate change to the status of religion or superstition. Plants don’t exhale CO2; they take out the carbon and release oxygen. Most scientists agree that oxygen is a Good Thing. Most would agree that this article is … not. The Westside Story is a rag. It truly is. Is this a High School venture? Plants create oxygen, not carbon dioxide. Try writing something that actually is based on fact. The facts of our world are far more interesting.